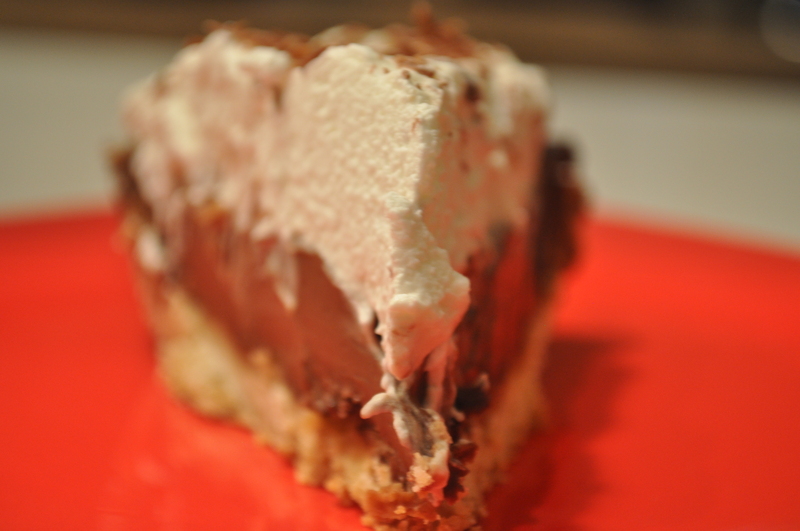 I had these big plans to try to convince you why chocolate cream pie is the perfect dessert for the new year. I was going to tell you about how it represents new things; how it’s a good dessert to bring to a new year party; I was even going to try to say that you should have this one last indulgence before new year resolutions begin. Are you convinced? Sigh, neither am I. Make this pie because it’s delicious! 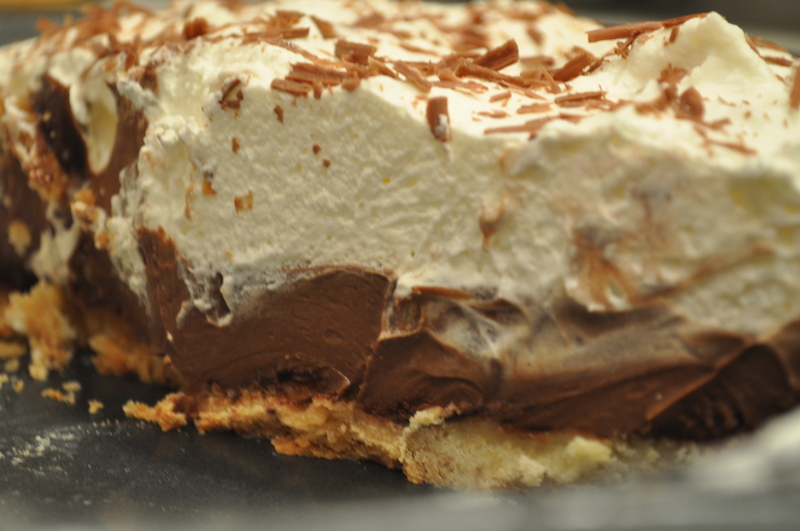 It’s chocolate and whipped cream piled into a sweet crust! It’s this totally old school, comforting dessert, but all fancied up with high quality chocolate that is barely sweet and so grown-up tasting. People! You don’t need another reason. But if you do need another reason, I say pretend. Pretend that it represents the new year, pretend that you have a party to take this to, have this one last indulgence before resolutions begin, and just make it this weekend. And then try to think of why you would ever need a reason to make this. Really. Try. This recipe is actually relatively simple to put together, but does use several plates and bowls to get to the finished product. So prepare yourselves. But have I mentioned that it’s worth it? Which you really shouldn’t be surprised about because, let’s be honest, this cookbook never fails. Cream together the butter, sugar and salt on medium speed until well combined, about 2-3 minutes. Add the flour and beat on low for 30 seconds. Add the egg yolk and continue to beat for an additional 30 seconds, or until dough comes together. Wrap the dough in plastic wrap and refrigerate for an hour. Remove dough from the fridge and let soften for 30 minutes. Sprinkle flour on the dough, and using a rolling pin, roll out the dough until it’s about 1/4 inch thick. It should be about 10 to 11 inches in diameter. Carefully lift and place the dough in a pie plate. Cut off any excess pieces. Place the prepared pie shell in the refrigerator for 30 minutes. Preheat the oven to 350. Bake for 30-35 minutes, or until golden brown. As soon as it comes out of the oven, place 1 ounce of bittersweet chocolate (ingredients listed below) onto the crust. Place the pie shell back in the oven for about 1 minute, until the chocolate has melted. Spread the chocolate all over the crust to form an even layer of chocolate. Let cool completely. In a pot, combine half and half and 1 cup of the cream and heat over medium high heat until bubbles form on the side. Make sure that the liquid does not boil. Meanwhile, melt the remaining 5 oz. chocolate in a double boiler until it has melted. Take off the heat. Pour the cream mixture over the melted chocolate and whisk to incorporate. In another bowl, whisk together the egg yolks and sugar. Slowly incorporate the chocolate mixture into the egg mixture, a little at a time, making sure that eggs will not cook. Return the entire mixture to the pot and cook over medium-low heat, stirring constantly, for about 6-7 minutes, until the mixture thickens. Strain through a sieve. Stir in vanilla and salt. Pour the filling into the shell and refrigerate, uncovered, until set, about 8 hours or overnight. When ready to serve, beat the remaining 1 1/2 cups of cream with powdered sugar and cornstarch. Whip until stiff peaks form. 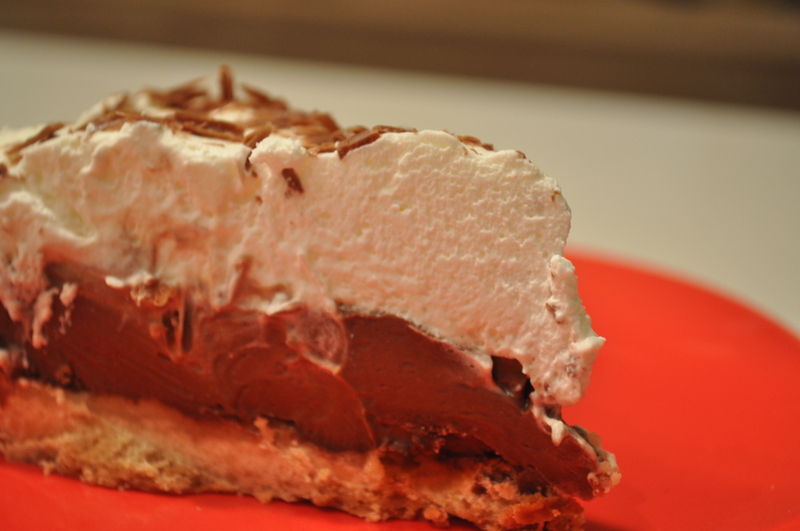 Pour onto the chocolate pie and spread to the edges of the pie. 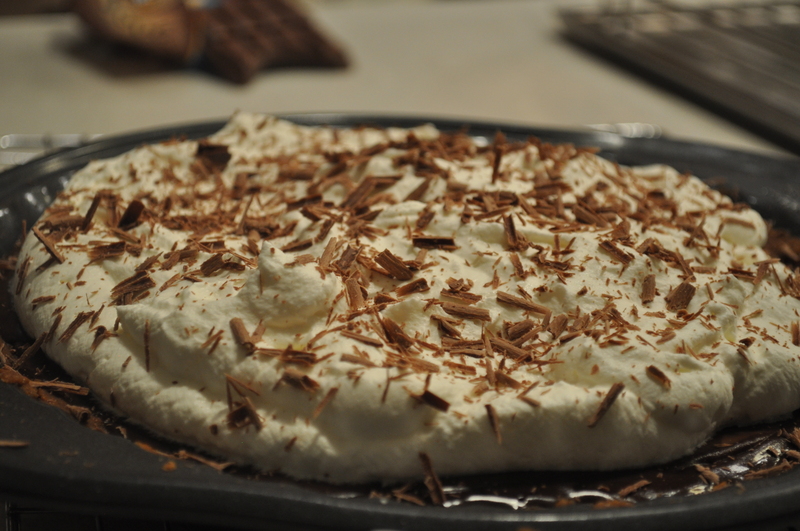 Using a vegetable peeler, shave chocolate on top of the whipped cream. Growing up, we always used to celebrate Hanukkah. Just over a month after Diwali festivities had dwindled, we would play with the dreidel, light imaginary candles on the imaginary menorah (we didn’t acutally have one), and eat a makeshift Hanukkah meal, all right next to the…Christmas tree. Looking back, I see how strange this was. Or really extraordinarily multicultural. Or, really, just strange. Either way, latkes would sometimes make the menu, often not. Even though they are, in my opinion, the epitome of Hanukkah food, we never got them quite right. They were too soggy, or too flat, or too oily, or didn’t have enough flavor. And then we would always eat them with sour cream, straight from the tub. Needless to say, the dreidel was far more festive. But I brought Hanukkah back this year! And I conquered the latke! 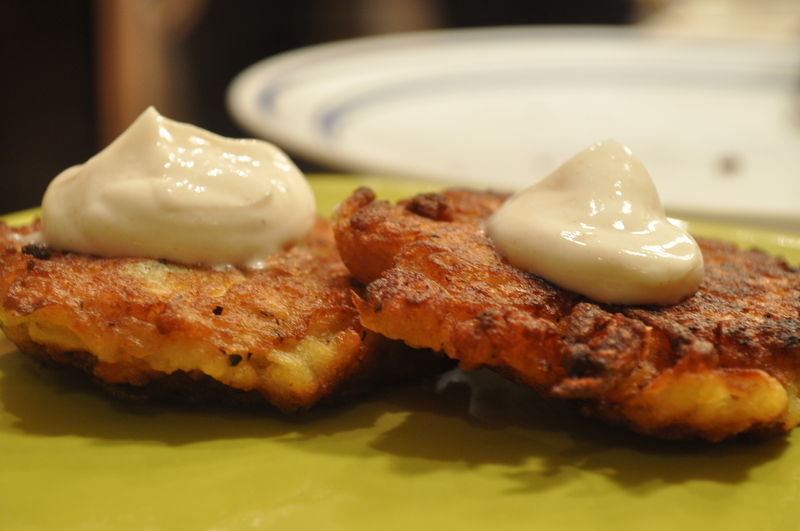 I realized that to make a good latke, you need a little faith…and a good recipe, and we finally have both. 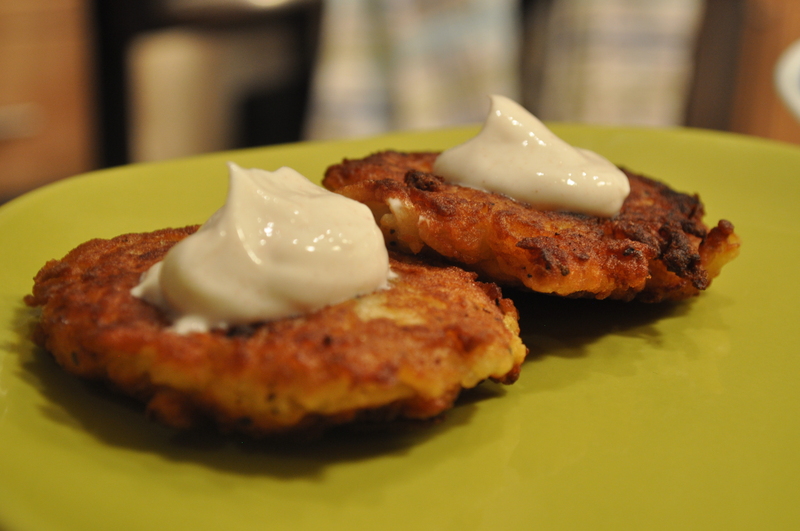 These latkes were crispy and fluffy and not too potato-ey (which can be a problem), with the perfect Greek yogurt accompaniment. 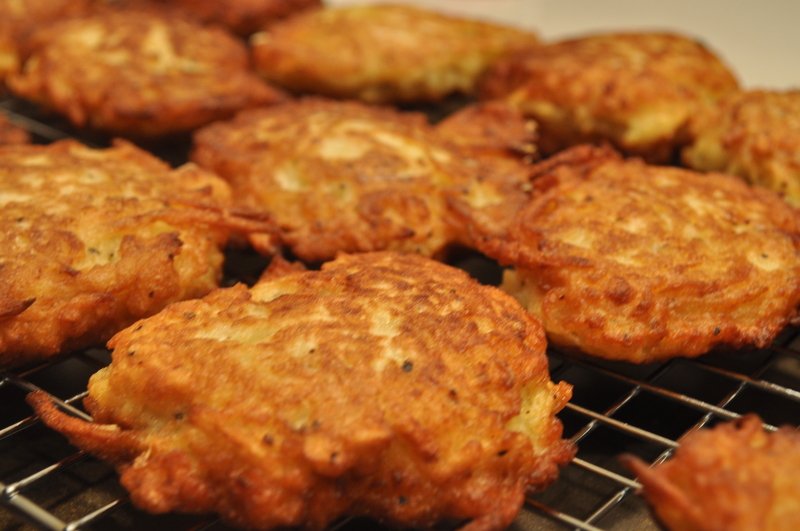 Latkes are finally sticking around for yearly Hanukkah celebrations in this Indian household! The key to crispy latkes is to get as much moisture out of the potato, onion, apple mixture, as possible. Even though this was not a part of the original recipe, after squeezing out the liquid from the mixture as much as I could, I tied my mixture-filled cheese cloth on a faucet to let it drain even further. 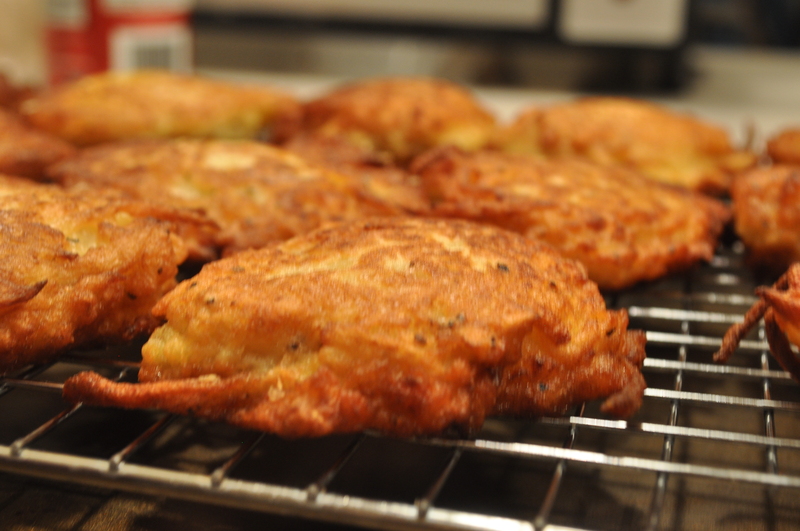 What resulted was the most crispy latke on the outside, but a pillowy soft inside. I have made these several times now, and I have hung up my mixture to drain every time. I’m assuming that it will work without this step, but why mess with a delicious, perfectly fried, non-soggy latke, I say. 1. In a small bowl, mix together the yogurt, cinnamon and syrup. Cover and chill until ready to use. 2. Coarsely grate the apples, potatoes and onions. Put the mixture in a clean dish towel and squeeze to wring out as much liquid as possible. Tie the dish towel onto a faucet to let the mixture drain further, about an hour. 3. When ready, squeeze the remaining juice out of the mixture and put in a large bowl. Separate the mixture with a wooden spoon. Working quickly, add the flour, eggs, salt, baking powder and pepper, and mix until the flour is absorbed. 4. Preheat the oven to 250. 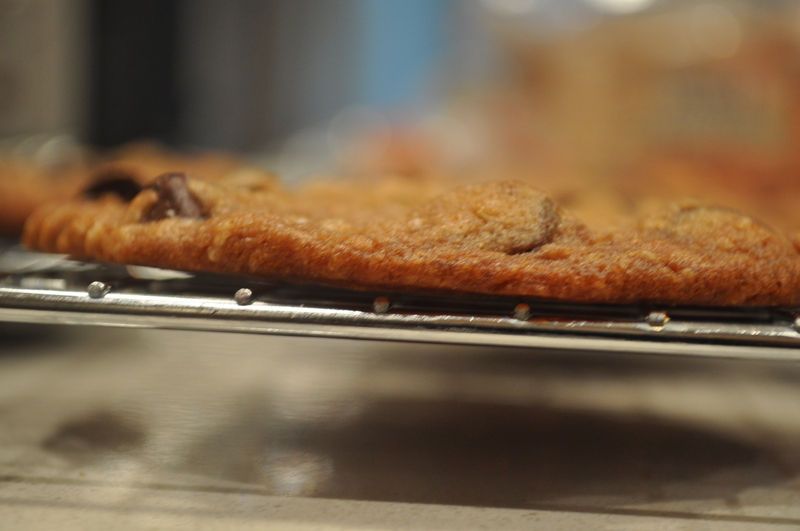 Place a baking rack on top of a cookie sheet. In a heavy-bottomed pan over medium-high heat, pour in about 1/4 inch of oil. 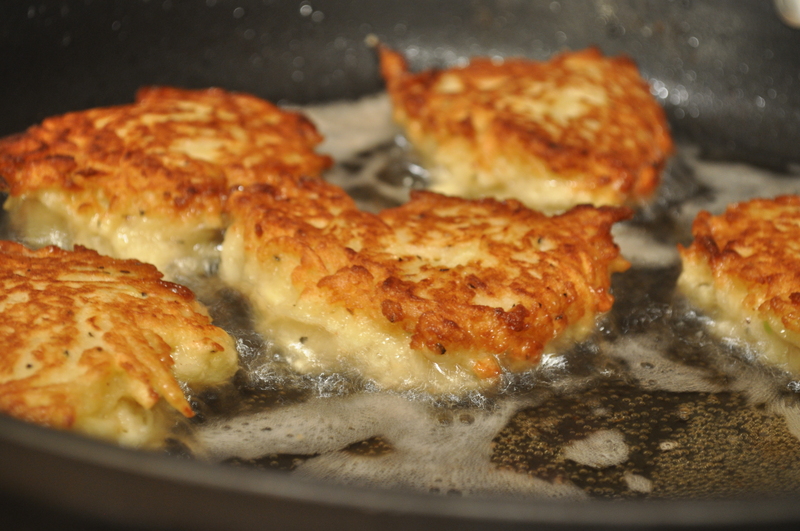 Once the oil is hot, drop heaping tablespoons of batter into the pan, cooking 3 to 4 latkes at a time. Flatten the latke slightly with the spoon. When the edges of the latkes are brown and crispy, 2 to 3 minutes, flip them. Cook until the second side is deeply browned, another 2 to 3 minutes. Transfer the latkes to a plate lined with paper towels to drain. Place the latkes on to the prepared baking sheet and place in the oven to keep warm until the rest of the latkes are fried. Repeat with the remaining batter. Serve with dollops of the cinnamon yogurt on top. I know. 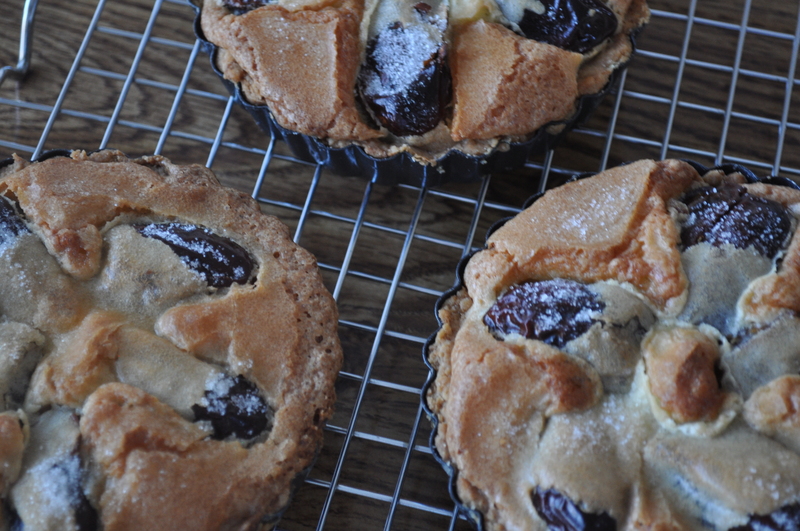 The amount of tart recipes that I post on this blog is pretty much uncanny. Tart this, and tart that, sweet and savory. 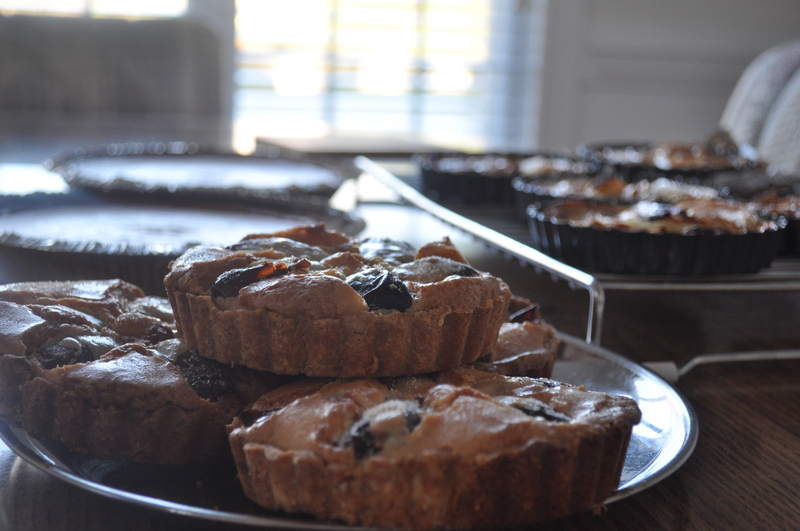 All I post is tarts! I’ll let you in on a little secret, though: I don’t own a pie pan. But I do own a big tart pan and six cute little mini tart pans. It’s inevitable. Alas, another tart. Here we go. But this is kind of a fake tart. I mean, sure, you have to make a crust and roll it out and go through all of the hassle of any other tart, but these are pretty incredible because when it bakes up, the crust and the filling all kind of meld together into this warm sugar cookie tasting concoction that, quite frankly, was unlike anything I have ever tasted before, but could not stop eating. Which is precisely the reason why I do not have a picture of an actual piece of this tart – it was eaten too quickly. Gobbled, in fact. And I made them for Thanksgiving! Ha, funny. All I could think of were the other amazing add-ins that these tarts could have. Nuts or other fruits or pieces of chocolate! 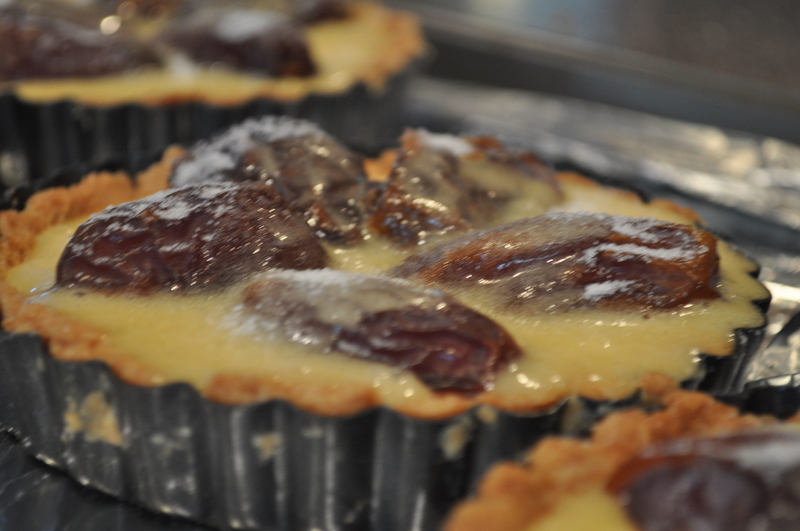 But the dates in this tart were so complimentary to the filling that I’m quite satisfied with exactly how it is. I tell you, this tart is so good that you’ll want to make tarts all the time! Clearly, like I do. Though normally I think that vanilla extract is a fine substitute for vanilla bean or vanilla bean paste, I think that this for this tart in particular, the beans are worth it. The vanilla is such an integral part of the flavor of the tart and extract will simply not give you the the same depth. If you are like me and are just worried that you will not know how to store vanilla beans and all of your money will go to waste, just get vanilla bean paste. It can exactly replace vanilla extract in any recipe, and has a long shelf life. But if, after all of this, you still just want to use the vanilla extract that you already have, I have given you instructions below. 1. Make the crust: Whisk the cream and egg yolk together in a small bowl. By hand, or in a stand mixer fitted with a dough hook, combine the flour, sugar, salt and butter until you have a coarse meal. Gradually add the cream and yolk and mix until just combined. Do not overwork the dough. Transfer to a large work surface and bring it together with your hands to incorporate completely. Shape it into a 1-inch disc and put in the refrigerator for 5 to 10 minutes to firm up a little. Place it on a lightly floured work surface, sprinkle a little flour over the dough and roll it out into a ¼-inch-thick circle, flouring as necessary. Starting at one side, roll and wrap the dough around the rolling pin to pick it up. Unroll the dough over a 10-inch tart pan. 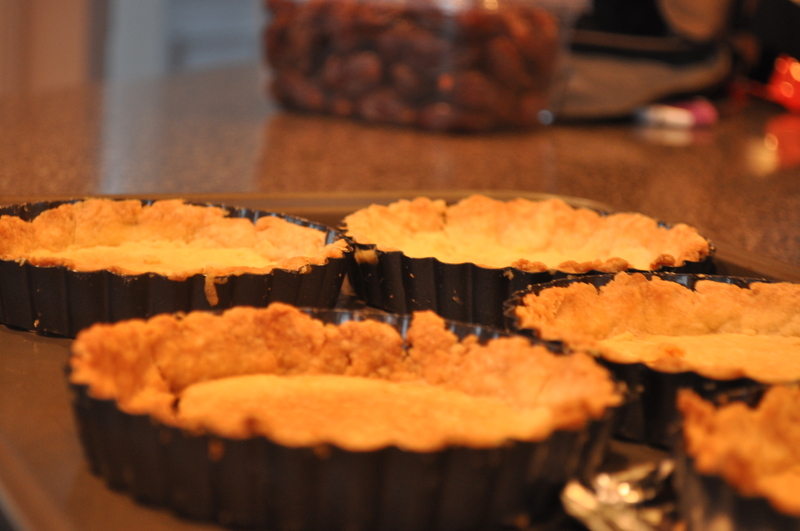 (Or arrange the smaller tart pans in a circle and place the dough on top of all of them to gently mold.) Gently fit the dough loosely into the pan, lifting the edges and pressing the dough into the corners with your fingers. To remove the excess dough, roll the rolling pin lightly over the top of the tart pan for a nice, clean edge. Chill for 1 hour. 2. Preheat the oven to 350 degrees. Prick the bottom of the dough with a fork and line the tart shell with a few coffee filters opened out, or with a piece of parchment paper. Fill the lined tart shell with dried beans or pie weights and bake 15 minutes, until set. Take the tart out of the oven and gently lift out the paper and beans. Return to the oven and bake another 10 to 15 minutes, until the crust is an even golden brown. Set aside on a rack to cool completely. 3. Make a vertical slit in each date and carefully remove the pit. Use your fingers to press the dates back into their natural shape. Place the dates, slit side down, in concentric circles in the tart shell, leaving ½ inch between each date. 4. If using a vanilla bean, slice the vanilla bean in half lengthwise and use a paring knife to scrape the seeds and pulp onto the butter. If not, add the vanilla bean paste to the butter. If using vanilla extract, skip this step, and heat the butter without any flavorings. Heat a medium sauté pan over medium heat for 1 minute. Add the vanilla-streaked butter and the vanilla pod to the pan and cook 6 to 8 minutes, until the butter browns and smells nutty. Discard the vanilla pod. If using vanilla extract, add it to the melted browned butter. 5. Whisk the eggs and ⅔ cup sugar together in a bowl. Whisk in the flour and salt and stir in the warm butter to incorporate. 6. Pour the batter over the dates in the tart shell. Sprinkle the top with the remaining tablespoon sugar. Bake 30 minutes, until the filling puffs up, browns and is set. Cool the tart at least 20 minutes before serving. I was such a tease last year. I kept promising cookie recipes for holiday parties and cookie exchanges, but I never did. Oh sure, I got around to the pastries and candies and this spectacular centerpiece. But never actually posted anything about the dessert that screams this time of year. This year, my friends, things are going to change. Starting from today. And here we have it, starting with the basic chocolate chip cookie. 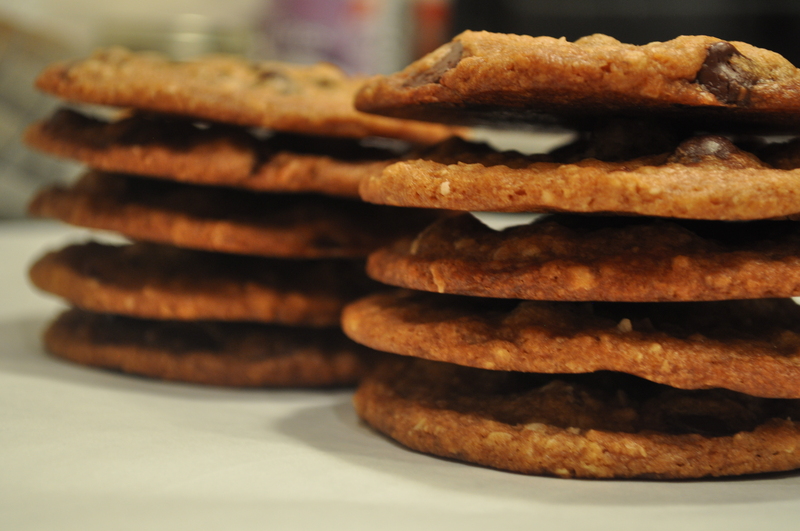 The foundation of any cookie tray, the mecca of cookie lovers everywhere. Ah, but it has a twist! Like oh so many people, I’m a chewy chocolate chip cookie kind of girl, but sometimes all I want is a bit of crunch. 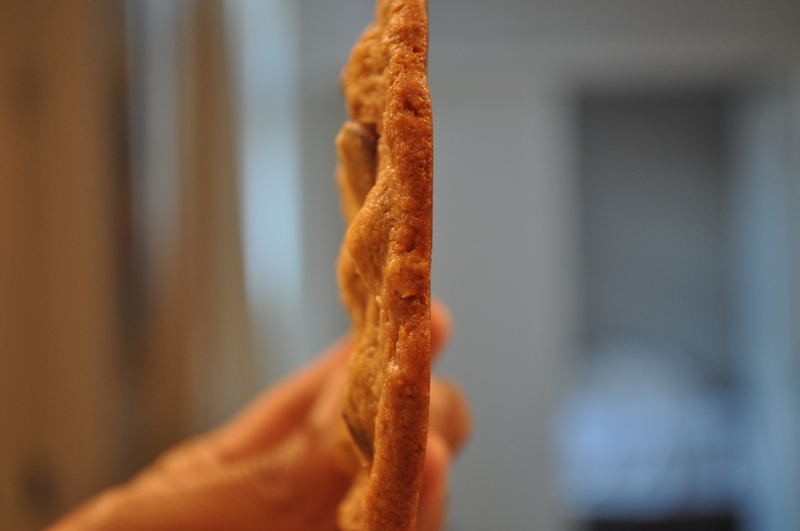 Those big bakery-like crispy cookies are always so intriguing and surprisingly look so satisfying! But I always have thought that the lack of chew would mean lack of flavor. Turns out (as anyone but me would suspect) that chewiness and tastiness have nothing to do with each other! You can really taste the butter and the oats, and it does not at all lack in chocolate. This is basically the perfect dunking cookie. It’s the ideal cookie for transport. And will look lovely on your cookie tray. 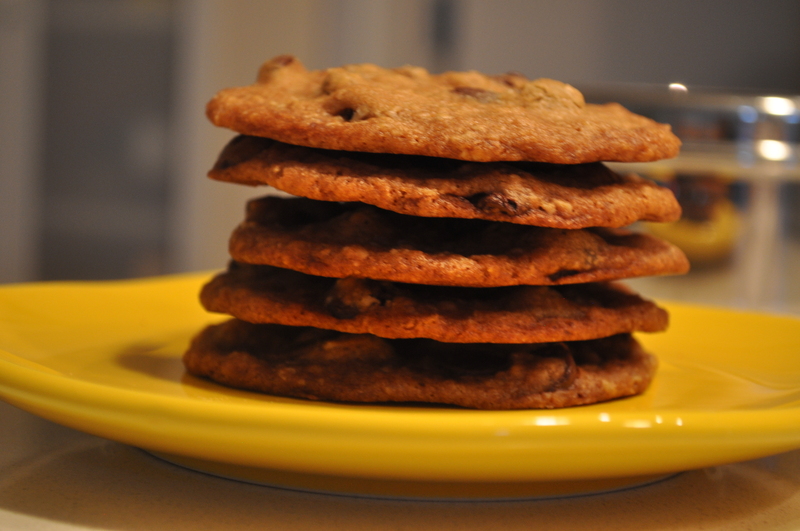 Chewy chocolate chip cookie lovers, watch out. This cookie may bring you over to the other side. Preheat the oven to 325°F. Position racks in the upper and lower thirds of the oven. Combine the flour and baking soda in a small bowl and mix together thoroughly with a whisk or fork. In a large bowl, whisk together the melted butter, oats, sugars, corn syrup, milk, and salt. Mix in the flour mixture. Stir in the chocolate chunks into the cooled batter. Divide the dough into 15 equal pieces. Line baking sheets with aluminum foil or parchment paper. Arrange 5 pieces of dough, remembering that the cookies will spread. Flatten each piece of dough until it is about 4 inches across. Bake for 20 to 25 minutes, until the cookies are thin and very brown. Rotate the pans from top to bottom and front to back halfway through the baking time. 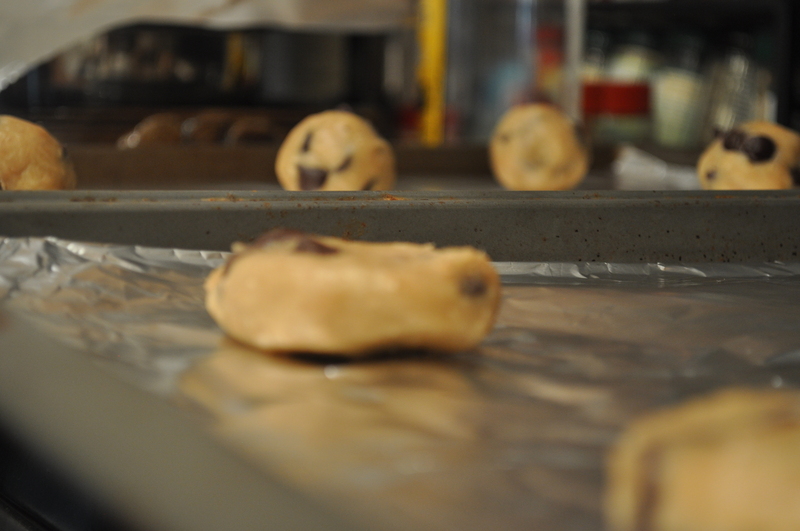 Slide the foil with cookies onto racks to cool completely before removing the cookies from the foil. Repeat with the third batch. Cool the cookies completely before stacking or storing. I was on a search for the greatest baklava ever. 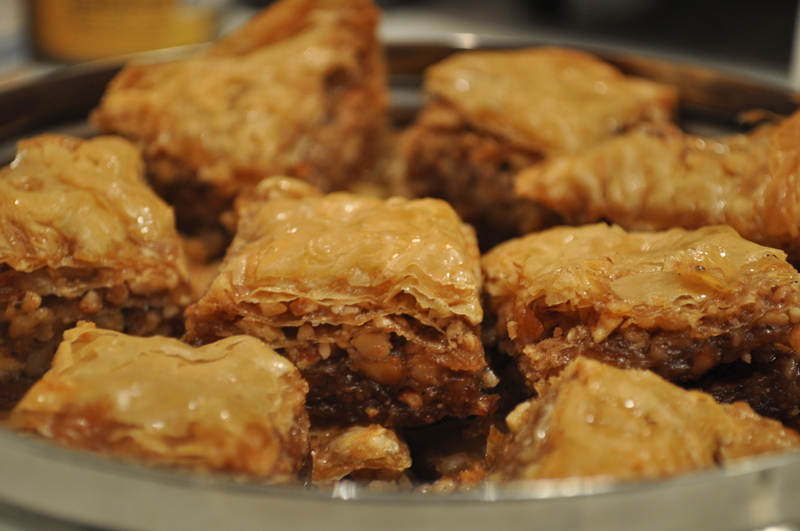 You see, when I was younger, a family friend would send a huge box of assorted baklava during the holidays. It was the best baklava I had ever tasted. But we moved, and the assorted baklava boxes stopped arriving, and I had been on a search ever since. But then. I went to Greece. Where I found no baklava, because, as my Greek friend assured me, baklava is definitively from Turkey. So, of course, then I went to Turkey. I needed to find the best baklava, people! Baklava was basically thrown in my face, it was so abundant. And every place was just so delicious. 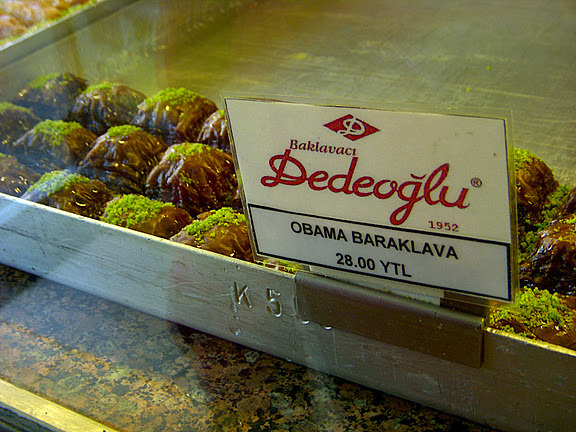 There were so many flavors (like the Obama Baraklava below) that it was very difficult to choose the best one. Two (amazing) trips and several years later, I have come to realize that if you want the best baklava, just look at your plate. Or look at your plate after you’ve made it. Because baklava is so so simple to put together, and it just tastes so splendidly delectable when it’s fresh. It’s still flaky and crunchy, and the warm nuts ooze into the syrup you have just poured over it. It’s seriously amazing. This was a definite game changer in my search for the best baklava. And I think that I’ve found it. I used Athens brand filo pastry sheets, which was so helpful because they have already cut the sheets into 9 x 13 rectangles, so you don’t have to do the cutting yourself. 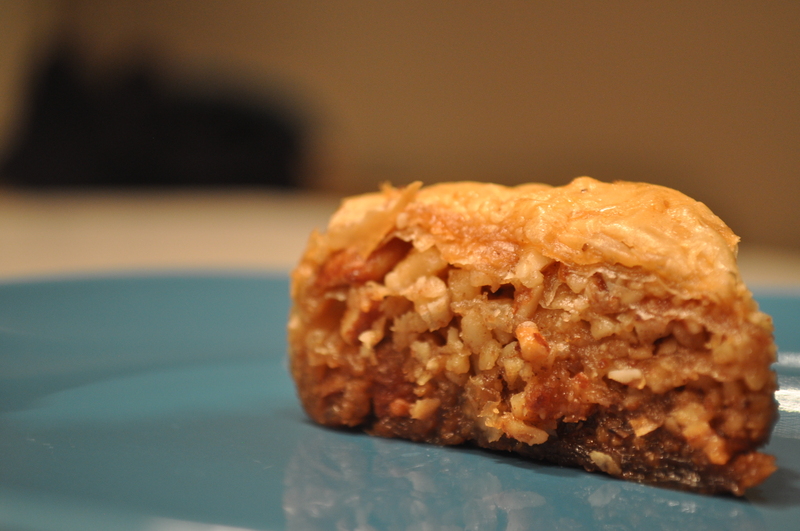 Also, I used a mix of walnuts and almonds in this baklava. I wanted to use pistachios as well, but couldn’t find unsalted ones. I’m sure that pecans would also be a nice twist. Lightly grease a 9×13 pan and set the oven to 350°F. If the filo dough is not already cut, cut the dough in half so the sheets will fit in the pan. Cover the sheets with a damp towel to keep it from drying out. Process the nuts until in small, even sized pieces. You can also chop the nuts by hand. Combine nuts with sugar, cinnamon, and all spice. Carefully place a sheet of phyllo dough into the pan. Using a pastry brush, brush the phyllo sheet with melted butter – just a light layer will do, but make sure that you have covered the entire sheet. Repeat 5 more times until it is 6 sheets thick, brushing each sheet with butter along the way. Spoon on a thin layer of the nut mixture. It will be about 3-4 tablespoons worth of nuts. Cover with two more sheets of phyllo, brushing each one with butter. Continue to repeat the nut mixture and two buttered sheets of phyllo until the nut mixture is all used up. When all of the nuts have been used, place 6 filo sheets on top, brushing each one with more butter. Using a sharp knife and cutting diagonally down one side of the pan, and then the other to make diamond shapes, cut through the baklava, making sure that you don’t cut all the way through the bottom layer of filo. Bake at 350°F for 45 minutes or until lightly golden brown, and edges appear slightly crisp. While the baklava is baking, make the syrup. Combine the cinnamon stick, sugar, lemon juice, honey, rose water and water and bring to a boil. Reduce the heat to medium low and let simmer for about 15 minutes, or until it’s slightly thickened. Remove the cinnamon stick and let cool. 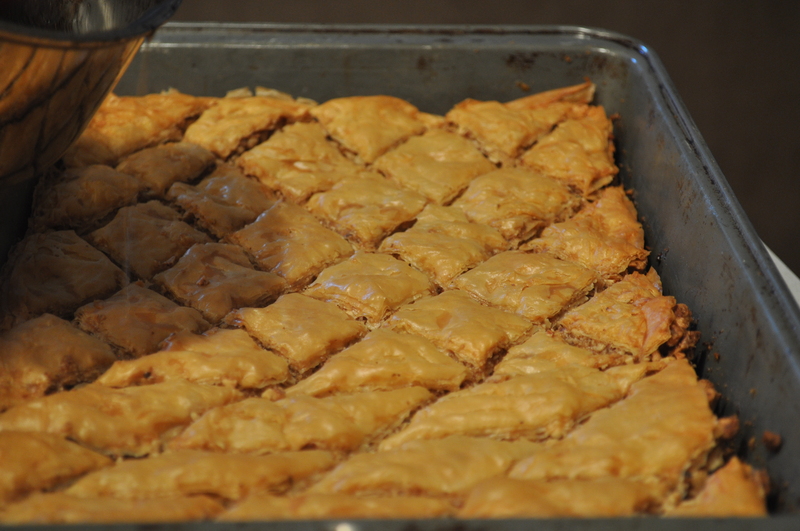 Pour the cooled syrup over the hot baklava, making sure that the syrup reaches each corner. Let cool for at least four hours, and cut the baklava again, making sure that it cuts through the last layer of filo this time. ** The Obama Baraklava picture was taken by Hannah Mellman during our search for the best baklava in Turkey. Doughnuts! Fried cake! Fried cake covered in cinnamon and sugar! Do I need to say more?! 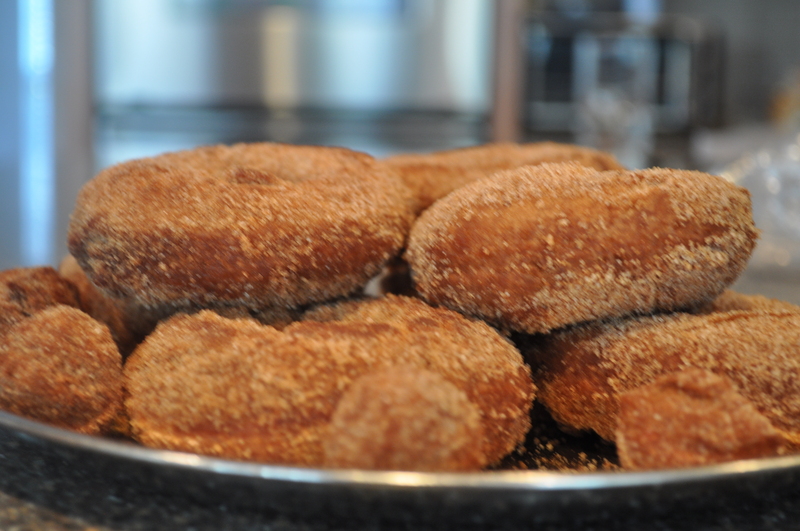 These apple cider doughnuts need no introduction, friends! Just look at them! From start to finish, they took no more than an hour. 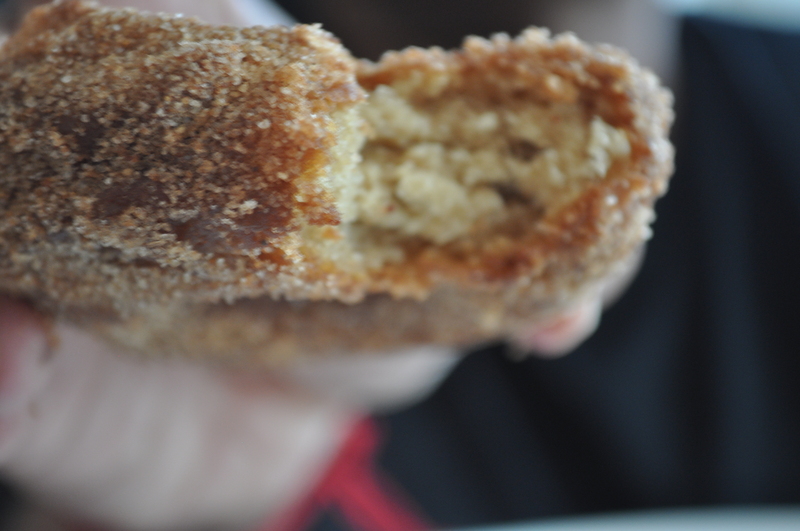 And at the end, we were eating warm, cinnamony, fluffy, cakey doughnuts that seriously cannot be described. So totally worth everything you think that is usually not worth it. They will be devoured in seconds. **Oops! Sorry about the picture posted prematurely. Let’s just say it was supposed to be more of an enticement for you to make these! Over medium heat, simmer the apple cider until it has reduced to about 2 tbsp. It will take about 10-15 minutes. In a bowl, sift together the flour, baking powder, baking soda, cinnamon, nutmeg, and salt. In another bowl, with an electric mixer, beat together the sugars and butter until well combined. Add the apple cider and buttermilk and mix. Beat in the flour mixture until everything has been incorporated. Dump the dough on a baking sheet lined with waxed paper, sprinkled with flour. Sprinkle more flour on top of the dough. Using another sheet of waxed paper on top, pat down the dough into a rectangle until it is 1/2 in thick. Freeze for 20 minutes. 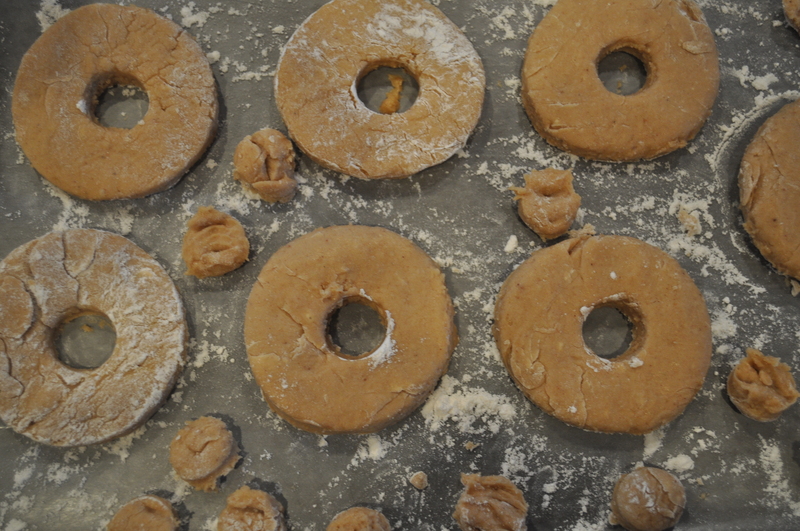 Take the dough out, and using either two biscuit cutters (for the larger circle and the doughnut hole), or a doughnut cutter, cut out as many doughnuts as possible, rerolling the scrape to cut more. Lay the doughnut circles and doughnut holes on a waxed paper lined baking sheet and freeze for another 20 minutes. Heat oil to 350 degrees. Combine the sugar and cinnamon coating in a shallow pan. Frying 2 at a time, fry each doughnuts for about 60 seconds on one side, and an additional 30 seconds on the other until it has turned a deep golden brown. 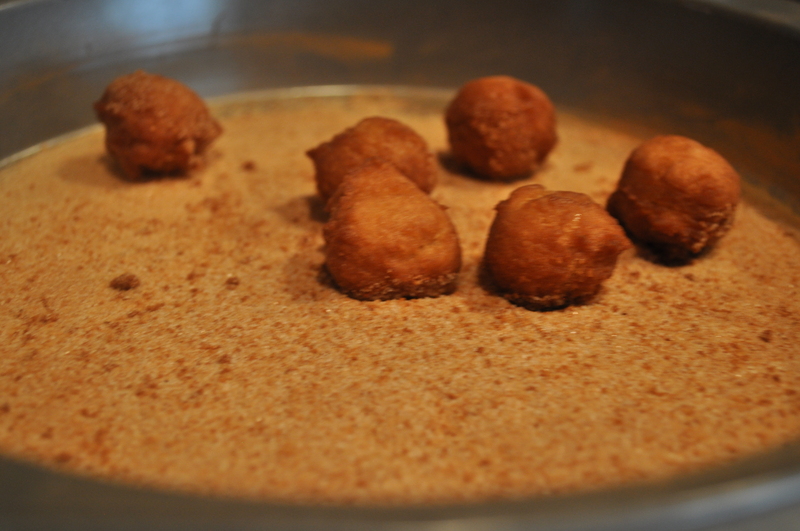 Place the doughnuts on a paper towel for 10 seconds and immediately place into the sugar and cinnamon coating. Continue until all of the doughnuts have been fried and coated.